3 Reasons US Olympic Swimmer Ryan Lochte (and his brand) should be unapologetic! If you're in public relations, you'll probably angrily disagree with what I'm about to say about Ryan Lochte. Ryan Lochte's "Mea Culpa" interview with Matt Lauer was one of the biggest mistakes of his career and most likely has cost him millions of dollars in sponsorships. In this article, I'll share the reason authenticity in life and business is important....but probably not in the way you would expect....... but first some context! In business and life, it doesn't take much to ruin your reputation. One mistake can cost a business, personality or brand millions of dollars in lost revenue and sponsorship dollars. Ryan Lochte know exactly what this feels like! While the US Olympic Athletes prepared for the closing ceremonies of the 2016 Olympic Games in Rio de Janeiro, one of the United States' most decorated athletes was preparing for the public relations and financial aftermath of a "wild night in Rio"! You're probably aware of the US Swimmer Ryan Lochte's conundrum, if you've watched the Olympic Games and been on social media. Per Brazilian police reports, Ryan grossly embellished (or lied) about a drunken event that led to some of his swimming teammates being detained by Brazilian authorities. 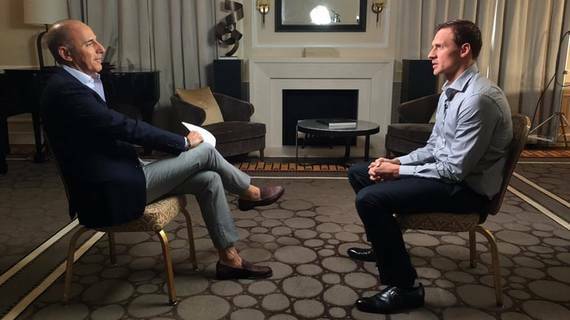 After initially lying about the incident to NBC's Billy Bush and Matt Lauer, Lochte appeared on with Matt Lauer several days after to address the situation. •	He looked weak, nervous and unsettled on camera. •	He didn't seem genuine. So what should Ryan Lochte have done instead? 1. He should have owned responsibility for what happened and stopped being unapologetic. "Yes, I'm the bad boy of swimming! Look at my hair color and I don't give a sh*t!" 2. Recounted and mention the details from Gunnar Bentz's statement after leaving Brazil. 3. Have his agent reach out to brands (Start ups, internet companies, energy drink companies etc.) that better align with his image and not companies who may be hesitant to remain connected to him. So far, Speedo, Ralph Lauren and Air Weave, a mattress company, have all since announced severing ties with Lochte. Consumers want authenticity and congruency regardless of your brand. If a rockstar had behaved this way, would the world expect that rockstar to do a 'mea culpa' interview with Matt Lauer or would he or she merely give their middle finger to the outrage. Customers' B.S. meters are very refined. Nowadays more people can spot sincere apologies versus the "I'm sorry for getting caught". In this case, authenticity means being who you really are and allowing your actions to be be congruent to your brand. This is a cautionary tale for Lochte as well as businesses and brands that ruin their reputation and make it worse by insincerely apologizing. Be who you're supposed to be. Recently named one of the top leadership experts to follow online, Ebong Eka is a certified public accountant and keynote speaker on leadership and sales. He is the President of Ericorp Consulting, Inc. (EKAnomics) which provides training and development in the following areas: employee leadership, employee engagement & improvement, guaranteed improvement in the performance of organizations' sales team and customer service. Ebong is a leadership and customer service, and small business expert who regularly appears on MSNBC, Fox News, Fox Business Channel, NBC and CNN. Ebong is also an accomplished TEDx Speaker, motivational speaker, Huffington Post Small Business Blogger and Office Depot Blogger. Ebong is also the author of the book, "Start Me Up! - The No-Business-Plan Business Plan", published by Career Press!